Hyperion Poi from Hyperion Hoop on Vimeo. 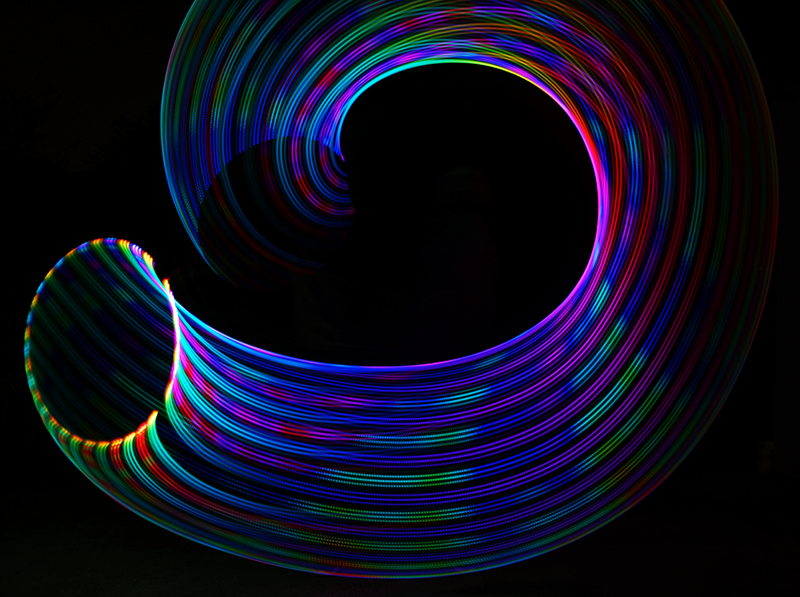 Hyperion Poi are now shipping! We're still actively adding software features, but they're already the most advanced pixel poi on the market. The poi are based on the 3rd generation of the Hyperion controller software, which builds on the Hyperion Hoop's 4+ years of development work and real-world use by thousands of hoopers worldwide. 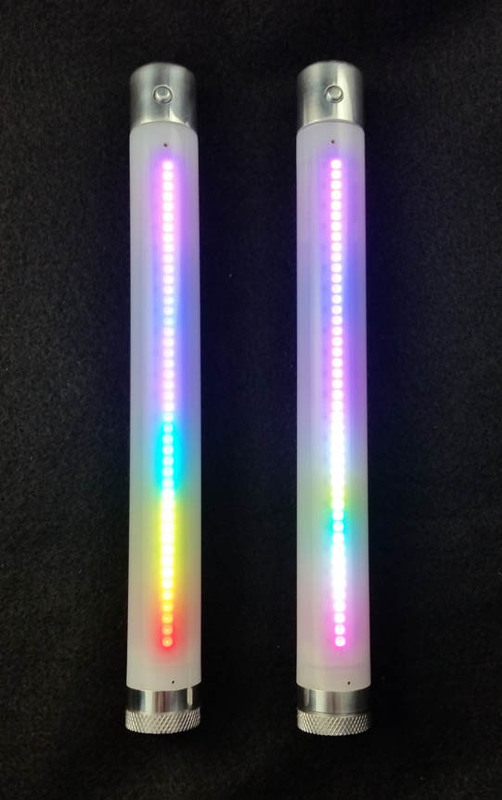 They're WiFi-capable and can connect to a wireless network or automatically create their own, allowing dozens of poi and hoops to be controlled together. The browser-based interface lets you configure your poi and browse, transfer, and visualize patterns. A live pattern editor is also in the works. The poi web app is usable from Windows, Linux, Android, iOS and others. The poi are constructed of impact-resistant 1" diameter polycarbonate tubing with CNC-machined parts made from aircraft-grade 7075 aluminum alloy. 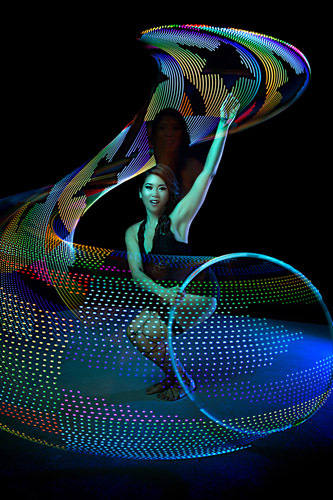 Like the hoops, the poi are completely customizable and have storage space for thousands of patterns. They're currently shipping with around 1700 patterns pre-loaded. 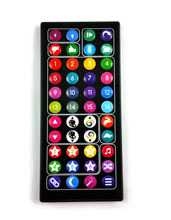 Patterns can be uploaded via USB, and a full pattern update can also be loaded via WiFi in 10-15 minutes. 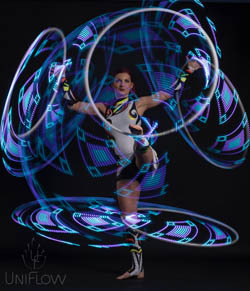 The poi include all of the software features of the Hyperion hoop, including scripting for choreography, IR remote control, and motion-reactive modes. 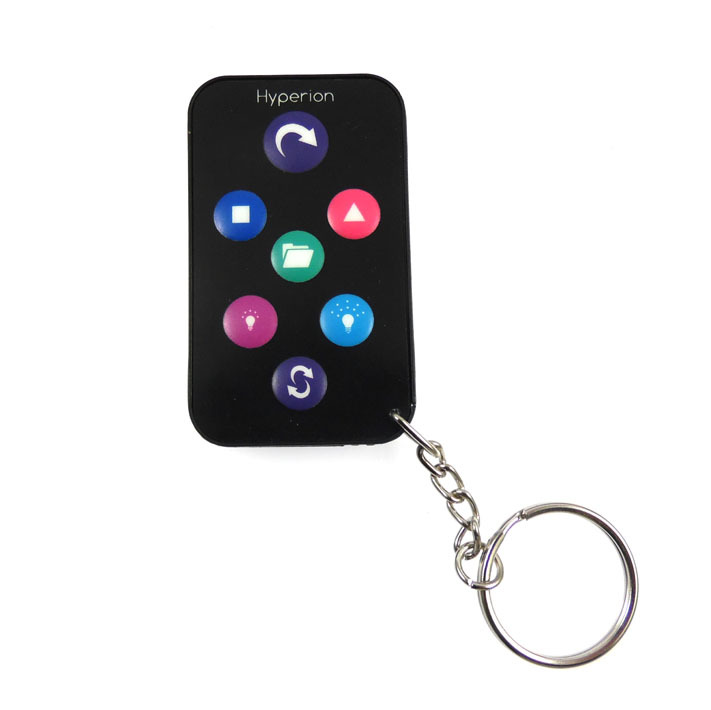 Unlike any comparable poi now on the market, the Hyperion poi feature a removable battery that can be changed in seconds, as easily as changing the battery in a flashlight. 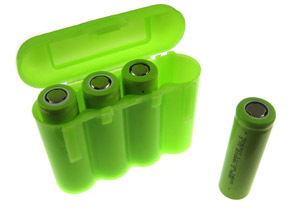 Typical battery life is 1-2 hours, and the poi use the same 14500 size rechargeable li-ion batteries as the Hyperion hoop. CNC machined parts give the poi a smooth finish with no rivets or protruding screws. They're also generally dust and splash-resistant. The poi can also connect to an optional polycarbonate staff adapter tube, sold separately.